Ketan Mehta is nothing if not ambitious. He wants to "shape the future of energy" for 1.3 billion people. The 28-year old entrepreneur co-founded Rays Power Infra six years ago with an eye on India's enormous potential for solar energy. "Earth has been receiving trillions of units of energy every day from morning to evening but we've never been able to use it," Mehta said. "Now, we have a chance." Rays Power Infra develops, builds and operates solar projects across India, ranging from 400-acre "solar parks" for government and industry to panels on the rooftops of individual homes. "You will see in the next three to four years, that every building becomes a powerhouse. They don't need to rely on the grid," the young CEO said. He's in the right place at the right time. India has 300 sunny days each year and nearly a quarter of the population -- or more than 300 million people -- still don't have access to electricity. The South Asian nation has traditionally relied on coal and other fossil fuels but its notoriously toxic air pollution is driving efforts to move quickly to renewable sources such as solar and wind energy. 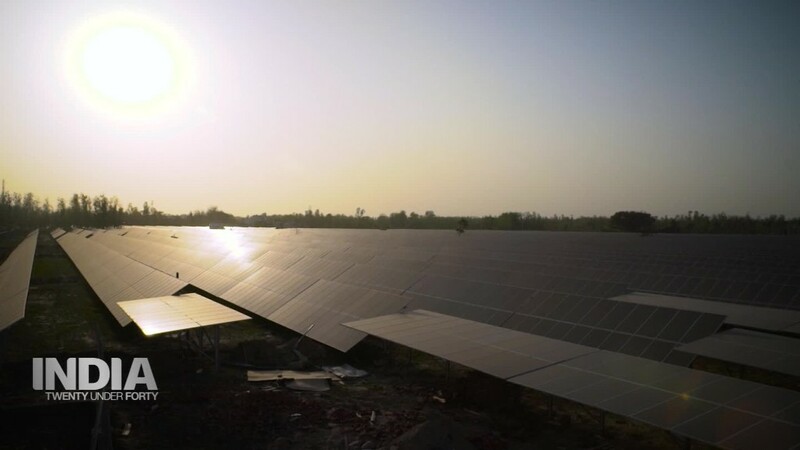 The Indian government is aiming for 100 gigawatts of solar energy capacity by 2022, up from around 10 gigawatts in 2016. Solar energy is also becoming much affordable for consumers -- prices have fallen by more than 40% in a year and it is now cheaper than electricity from coal-fired power stations. "The beauty in India is opportunities," Mehta said. "The government is supporting, the environment is positive... I'm sure the next 10 years are going to belong to India." The opportunities are piling up for Rays Power Infra. The company that started out with three people in a single room now employs 220 across four Indian states. Its annual revenue has grown to 5 billion rupees ($77 million) from 10 million rupees ($155,000) in the past six years. "The targets that the government has envisaged... is probably ten times what we have today," Mehta says. "It is going to be a hell of a challenge. So we are here to contribute to that and be a part of that challenge." He also has another plan in the works that will probably excite another, far bigger solar entrepreneur -- Elon Musk. The Tesla founder has set his sights on India but said he may struggle with a lack of supply and infrastructure. "The next big wave that we are focusing on now is storage, electric vehicles, charging stations, which will drive the future," Mehta said. "Everyone will become not only a consumer but a producer of their own power."